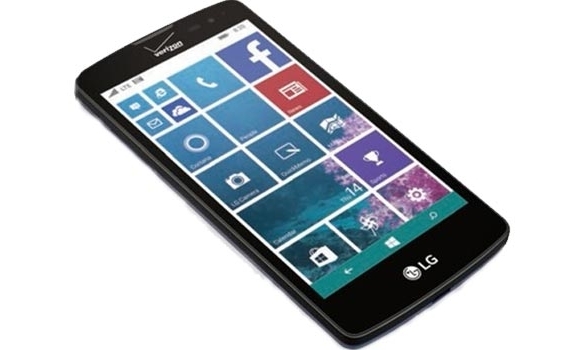 Verizon users are going to have a chance to buy Windows Phone smartphone manufactured by LG. And, this is going to happen in the next week itself, on 21st of May. The device was earlier reported to be in existence, but now it was confirmed through an official e-brochure which was first picked by Windows Central. The device is named LG Lancet, model number LG-VW820. The device’s specifications are expected to be Snapdragon 1.2GHz quad-core processor, 4.5inch display with a resolution of 480×854 pixels, 1GB of RAM, 8GB internal storage and 2,100mAh battery. The camera units are said to be 8MP and 0.3MP (VGA) at the rear and front, respectively. Windows Phone 8.1 (2nd update) is running the device along with features like Cortana. Few gesture based features are also noted to be part of the device. As mentioned in starting, the device is labeled for Verizon at this moment and there is nothing known whether it will be available for other carriers or not, also for other countries around the globe. A lot of specifications are yet to be known, but I am sure we can wait for a week which is now left for the official unveiling to take place. 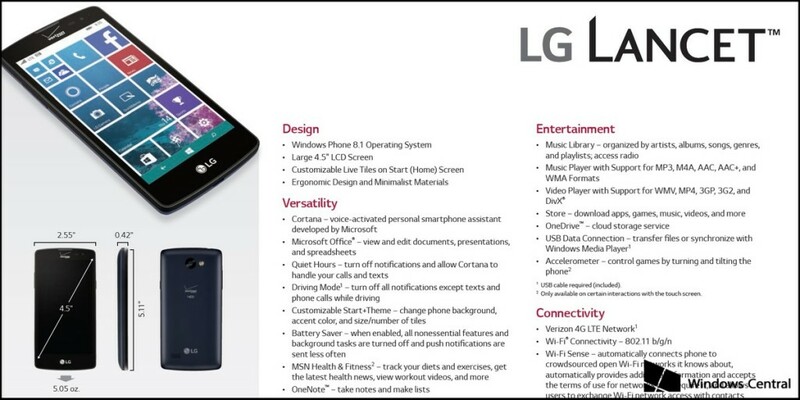 Till then, you can refer to this image of the brochure and get features which are part of the device.